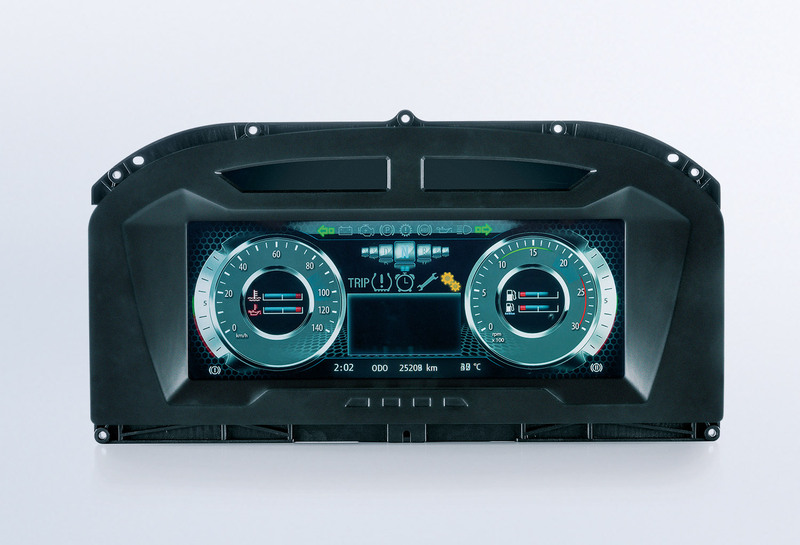 An instrument cluster with a 12.3-inch color display and maximum design freedom, where even animations and videos can be implemented. The MultiViu® Professional 12 is fully programmable and adapts to your individual requirements. Through its modular structure, it fits seamlessly into any front frame.